Cover model and makeup artist, Cindy Joseph’s face has graced covers and pages of Oprah, Glamour and Mademoiselle magazines and European and Japanese fashion and beauty magazines. She represents the healthy life-style choices of the female Baby Boomers around the world. Cindy, is the Founder and CEO of BOOM! By Cindy Joseph, an exciting concept in makeup that reveals a woman’s genuine beauty with an honest and realistic approach. In addition to running her BOOM! empire, Cindy is represented ... See More by Iconic Focus for special bookings, including her 2016 Chico’s campaign and 5 year worldwide Nivea campaign outside the U.S.
She points out that "It's time to throw out the archaic anti-age point of view and step into the powerful realization that every woman can have fun, passion, sensuality, wisdom, and beauty throughout her entire life, not just half way through it." 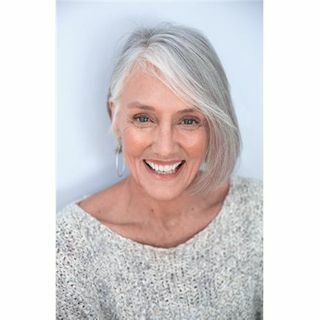 Her message is energizing and inspiring women of all ages to raise their consciousness and confidence in relation to, not only their age, but their size, color, and shape. Cindy speaks about these subjects and more on her weekly video blog, Saturdays with Cindy and TEDx Talk.